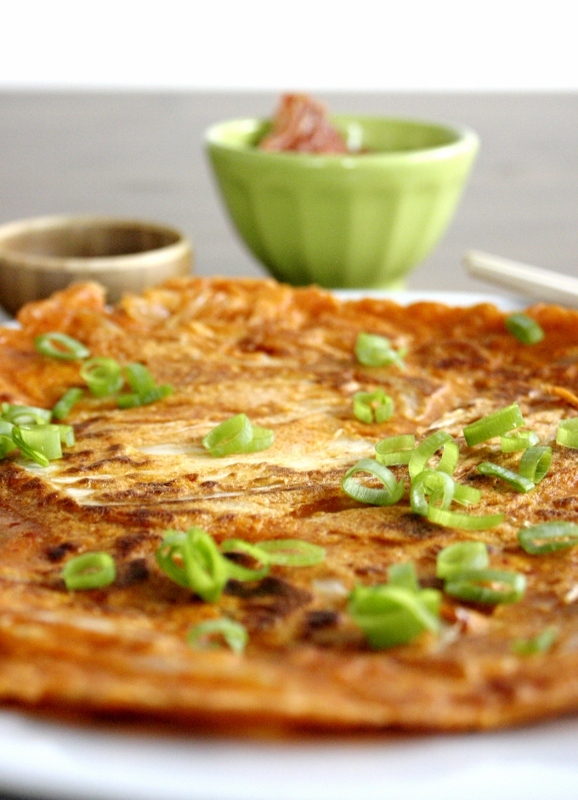 Ever had kimchijeon or kimchi pancakes? 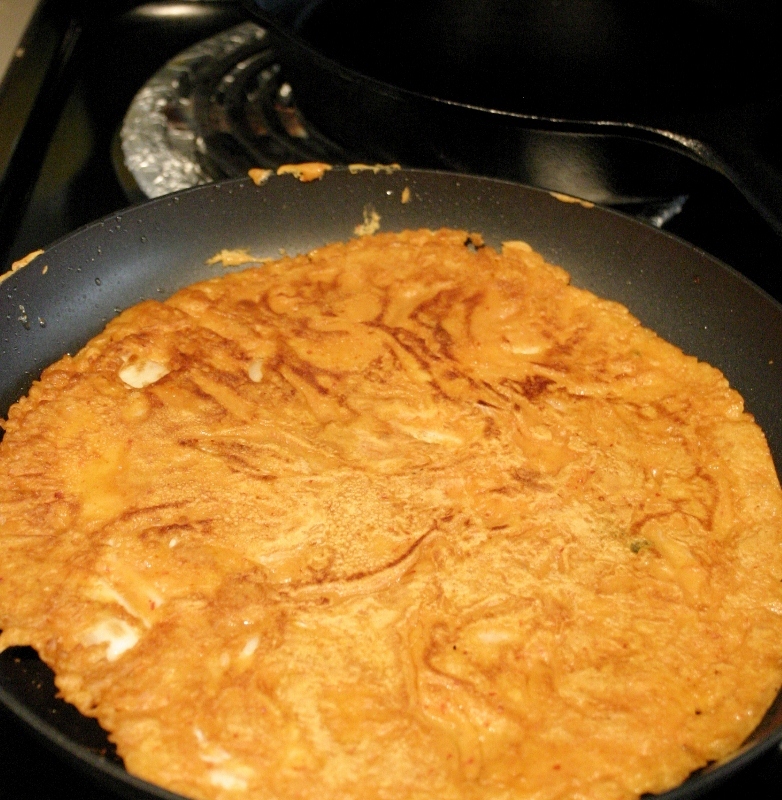 If you like Indian food, I’m sure you’ll like kimchi pancakes. Even if you don’t like kimchi. Trust me on this! I went on a Korean food cooking spree last week. It all started because my friends Hannah and Phil were nice enough to join me for dinner when I went on a working retreat at the beautiful Whidbey Institute. We ended up cooking Ssambap using lovely salad greens that the friendly gardeners on the land gifted us. That caused a hankering for something with kimchi. And this was the result. 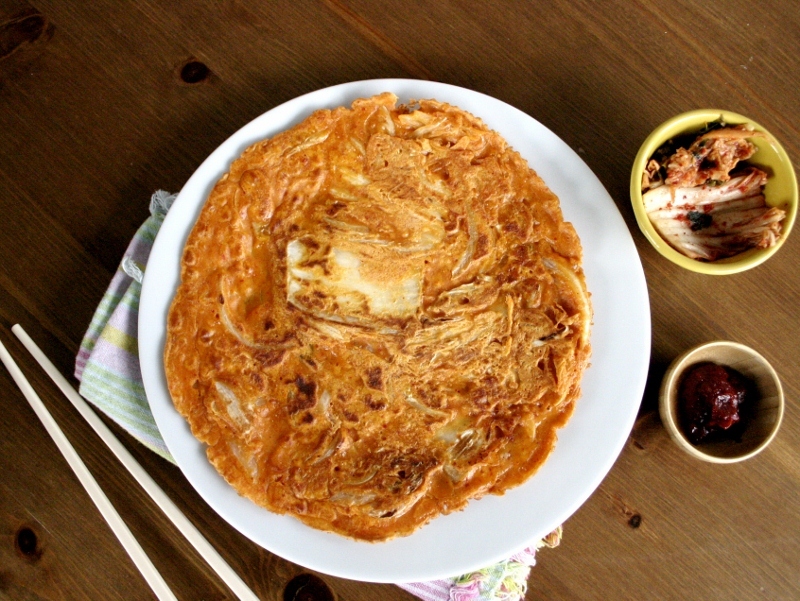 This was my first time making kimchi pancakes and I can say that they were fast and easy. So I hope you’ll give this recipe a try. In a large glass or plastic bowl mix together all ingredients except the oil. Make sure there are no clumps of flour left. Taste the mixture and add more salt if necessary. 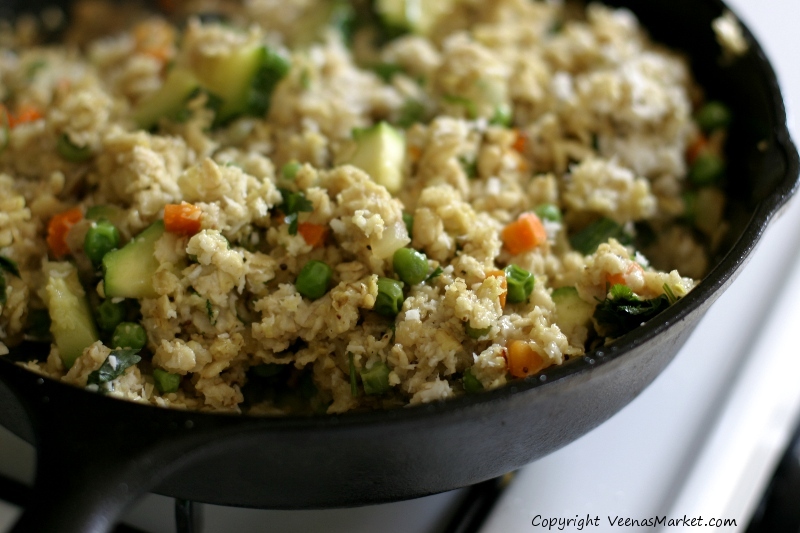 Heat a nonstick skillet over medium heat and add 2 tablespoons oil. Wait till the oil is hot enough before proceeding. If you add the batter when the oil is not hot enough, the pancakes will come out soft. You can tell that the oil is hot enough if you put a drop of batter in the pan and it sizzles. Take a big ladleful of the batter, pour into the skillet and spread as thinly and evenly as possible. If you’re using a 10 inch skillet, you should get 3-4 pancakes depending on their size. Let the pancake cook for another 2 minutes on this side as well. You might need to cook both sides for another minute or so to make sure the pancake is fully cooked. I love my kimchi pancakes crispy! The first one I made came out very soft. So I did some research. Here’s what I found and what I know from making dosas. Use 3 tablespoons oil per pancake instead of 2. Yeah, its not as healthy but it works. Make sure the oil is hot enough before pouring the batter into the skillet. Add ½ teaspoon of baking soda to the batter. 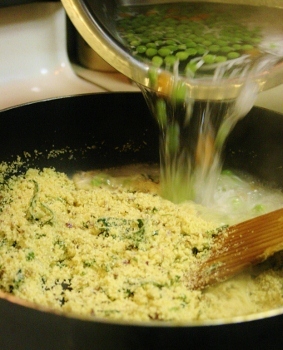 Add 1/3 cup of lentil flour (you can use mung bean or Indian urud dal flour). Use cold kimchi and water. Cold batter results in crispier pancakes. It was the third cold, dark and rainy day in a row. The kind that leaves you with a slight case of the blues. But nothing that a pot of soul-satisfying Daal wouldn’t remedy. 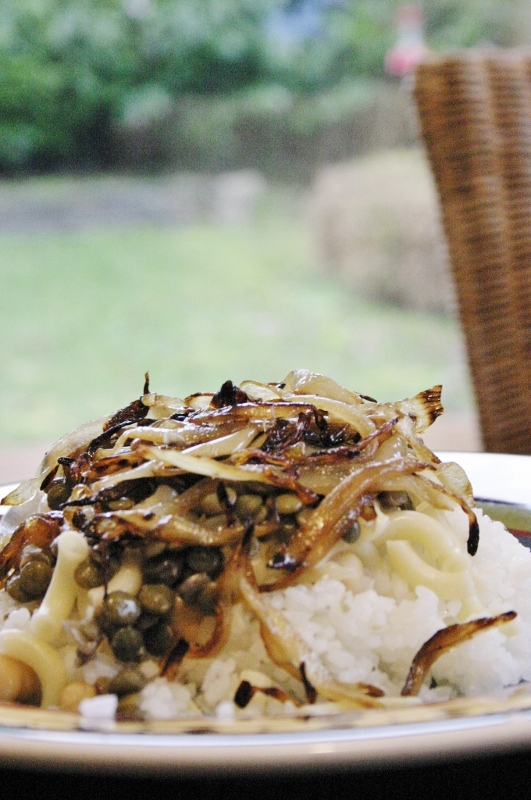 I’d had a hankering for my lentil curry anyway and got to work making it. While the lentils were boiling away merrily, I peeked into the fridge to see what vegetables I could add. There were none but there was a big bunch of curly kale that I needed to use soon. Now, around here, we LOVE kale but I usually prepare it by itself and enjoy it with slices of fresh avocado. While there are plenty of leafy green vegetables in India, there is no kale. So it was a serendipitous idea to sauté the kale with the spices in the Daal Recipe kit and add it to the lentil curry. Or maybe it was just a matter of time. I’m sure others have discovered this already, but here’s my version. 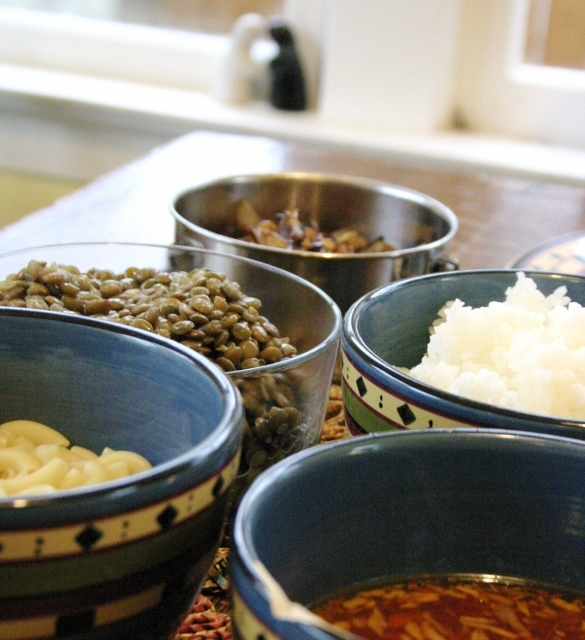 This recipe is a slight variation of the one included in the Daal kit. I like curly kale best but any variety of kale will do. Lacinato kale (aka Dino or Cavalo Nero) is pictured. Heat the oil in a big pot or wok over medium high heat. You know the oil is hot enough when you throw in a mustard seed and it sizzles. Don’t get the oil too hot as it will burn the spices. Add the mustard seeds and wait a few seconds or till they just start crackling. Add the cumin seeds, curry leaves and turmeric. Add the kale after 2-3 seconds and stir to coat well with oil. Saute for 3-4 minutes or till the leaves have wilted slightly and are half the original volume. 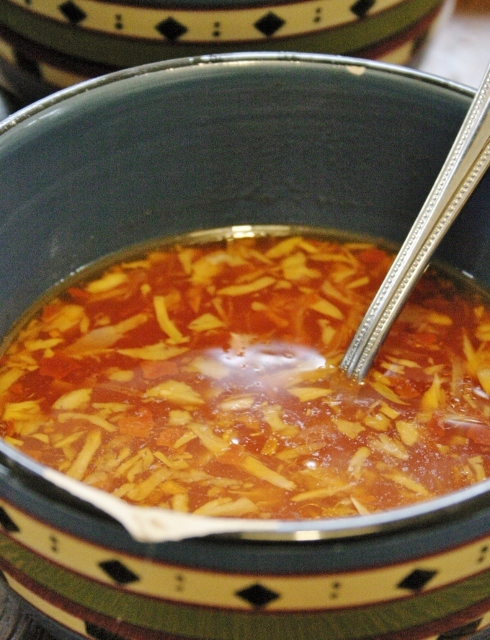 Add ½ a cup of water, reduce the heat to medium low and cover the pot with a lid ajar. Cook for 3 minutes and then remove from heat. 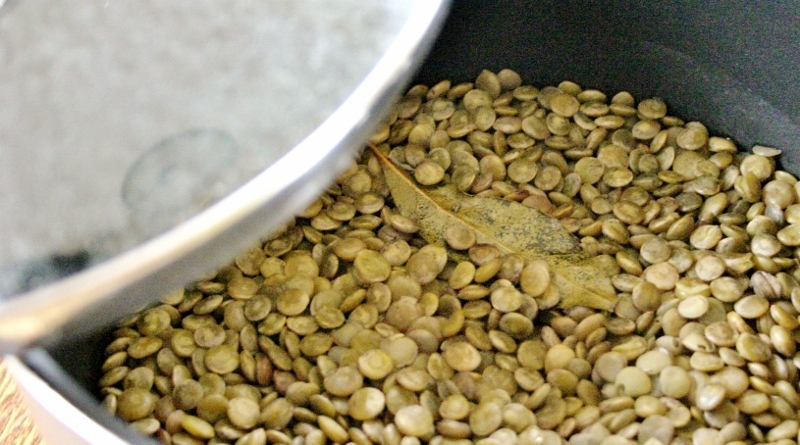 Once the lentils have boiled, add the kale to the pot of lentils along with 1 teaspoon salt and the tomato. Mix. Taste for salt and squeeze in juice of ½ a lime (more if you like). Serve over rice. Close your eyes and take a deep breath before diving in spoon first into your hearty Daal. And feel the blues slipping away. Mmmmm. p.s. What to do with the leftover kale? Simply saute in olive oil with a couple cloves of garlic. Add a cup of stock (or water and salt), bring to a boil, reduce heat to low, cover with lid ajar and cook for 7 minutes or till the kale is cooked but still slightly crunchy. Or make kale chips. Toss with olive oil, freshly ground pepper, and a big pinch of sea salt. Roast in oven preheated to 350 degrees F for about 10 minutes. This is a post inspired by an old friend. Preethi and I went to the same school in India. My family moved to the US when I was in high school and I lost touch with most of my old school mates. The last time I saw her was in Warsaw, where she now lives, in 2007 when I was there on a business trip. We went to a cute little restaurant in downtown Warsaw for Pierogies. I had to share this summer recipe idea she sent my way. So what is a Brinjal? It’s the Indian word for eggplant! Eggplants are called brinjals in India and South Africa and aubergines elsewhere. India is the second largest producer of eggplants in the world. As an aside, there is a raging battle over whether genetically modified eggplants developed by a Monsanto subsidiary should be cultivated in India. Scientists are divided in their opinion and the public is largely against it. For now, the Indian Government has halted BT brinjal as the genetically modified version is called. On a more fun note, if you didn’t already know it, there are many different varieties of eggplant. The commonly found variety in the US, the dark purple eggplant, is much bigger than the Japanese, and Thai eggplants and I think has less flavor. There are some eggplants that are also green in color. 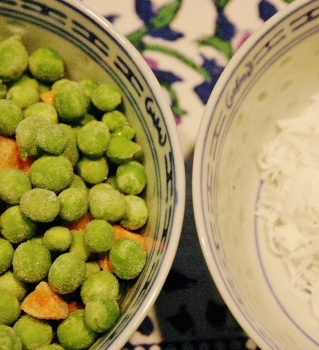 The recipe is inspired by a dish Preethi’s mother used to make in summer. I made this Brinjal Fry in Yoghurt sauce for the first time a couple of weeks ago when all I had was half an eggplant and 20 minutes to cook dinner. My husband and I loved it and we literally licked our plates clean. The recipe below should serve 3-4. Cut off the ends, halve the eggplant lengthwise and then slice into quarter inch thick pieces. You can also leave the eggplant whole and just slice it, but I find it easier to deal with smaller pieces and they cook faster too. Place in a colander and mix in the salt. Let it stand for 30 minutes if you have the time. (This brining process draws out the water in the eggplant helping it cook faster and use less oil. It also removes the edge off the eggplant’s bitterness. If you’re like me and love the flavor of eggplant, you can do away with this step.) While you wait, you can prepare the remaining ingredients, set up the table and fix yourself a summery cocktail, preferably with involving rum, mint and sugar. Put the yoghurt into a bowl and beat slightly till it is smooth. Rinse the eggplant slices well, pat dry and mix with the spice blend. Sauté for 10 minutes or till the eggplant is cooked through. If the pan gets dry, add a bit more oil. Taste and add more salt if necessary keeping in mind that the eggplant will be mixed with yoghurt. Remove from heat and place the slices in the yoghurt. Sprinkly the paprika or cayenne powder on top for some color. 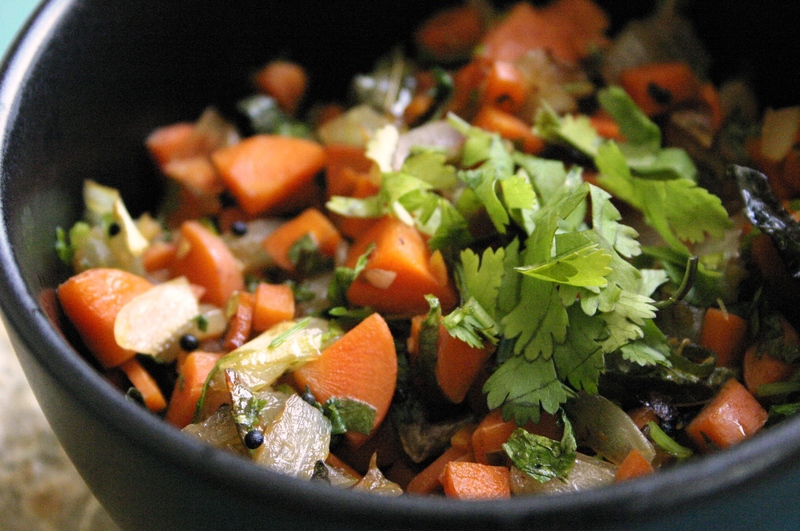 Garnish with sprigs of cilantro or mint and serve with rice or naan. How’s the weather where you are? Here in Seattle, we finally got summer this week after months of whining and praying for it! And now that it’s here, we’re whining about how hot it is! With summer comes BBQ season, cold soups and salads, and lots of Indian food too. Yes that’s right! Indian food in summer. Here in the US, spicy curries don’t come to mind when it’s hot outside. In India while the curries still remain spicy even in summer, different vegetables are featured. Various kinds of gourds and squashes are in season in summer. The ‘Malnad’ (literally translating to land of rain) region of the south Indian state of Karnataka grows some of the juiciest, crispest and sweetest cucumbers around the area. This is where my mother’s family is from and we would visit every summer. Some of my best childhood memories are from summers spent at my grandparents, playing with my cousins, climbing trees, chasing away monkeys from the guava trees and of course devouring grandma’s savory and sweet treats. And yes eating lots of cucumbers. Cucumbers contain a chemical called cucurbitacin that sometimes makes them taste bitter. My mom taught me to slice the ends off and then holding the cut end against the exposed part of the cucumber, rub it around it a circular fashion. This removes the white ‘poison’ as my mother called it. And supposedly the cucumber tastes less bitter. I say supposedly as I never use cucumbers without removing the ‘poison’. So if you think cucumbers have a bitter edge to them, try out this trick! While cucumbers are perhaps not quite as tasty here as in the Malnad region, I’m so glad they are available. There are a couple of salads that are super easy to make that I’d love to share with you. The first one is an Indian style cucumber salad and the second a Moroccan style salad. When you look for cucumbers, look for ones that are tender and don’t have any yellow on them. English cucumbers are nice as they are practically seedless and are crispier but they’re also more expensive. Toss all the ingredients together (I use a tupperware box) just before serving. The cucumbers also make a great appetizer. You can prepare the salad ahead of time. But add the lime and salt, and toss again, just before serving. 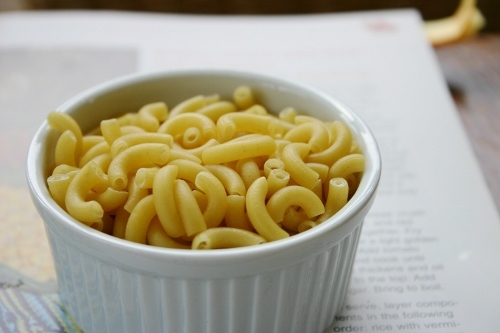 This is a very flexible recipe – use more or less of the ingredients as you like. Mix all the ingredients together. Again, you can prepare the ingredients ahead of time and mix everything leaving out the lemon and salt till just before serving. 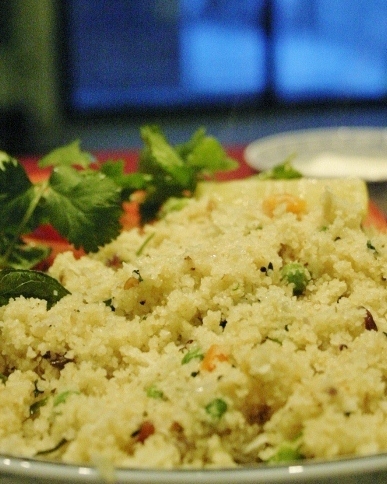 This same salad with cilantro instead of mint is another version of the Indian cucumber salad. Make sure to use fresh mint. 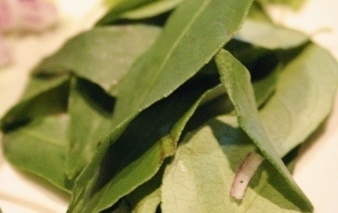 If the mint is not fresh, it can impart a bitter taste to the salad. Now things just don’t get any simpler! This story takes place when I was a schoolgirl in Bangalore, India. Like all other kids, I had a little tiffin box carrier that my mom would fill up every morning for my brother and I to take to school. And almost everyday, when we opened up our lunch boxes to see what we got that day, I was jealous of what my friends had (I don’t know why as my mom cooked great food). Except for when my mom packed grated carrot sandwiches. My mom had this steel sandwich maker that when folded together and heated in the flames of a gas stove, made the best toasted sandwiches. She’d put a bit of butter on the insides, place a slice of bread on one side, put a thick layer of the grated carrot palya (a term in Kannada, my mother tongue, that means a side of vegetables sautéed with oil, spices and herbs, like curried vegetables. 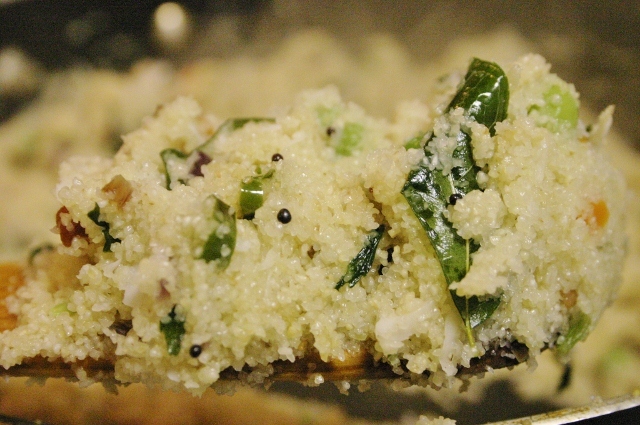 Palyam in other South Indian languages) on it and place another slice of bread before toasting. Every bite of this sandwich started off with your teeth crunching into the crisp bread followed by the softer carrot, perfect complements in texture and taste. Earlier this week, the fridge was almost empty and I was wondering what to eat for lunch. I had a couple of carrots left over from another meal and half an onion and the grated carrot sandwich came to mind. I didn’t have bread or that trusty toaster my mom had used. And then I discovered the grater was in the dishwasher. I was already starving so I settled for making carrot ‘palya’ to eat with some leftover chapathi (Indian flat bread). It wasn’t quite as good as my mom’s grated carrot sandwich but hit the spot anyway. Here’s the recipe. And as usual for the recipes on this blog, it’s super easy to make. This recipe serves one. 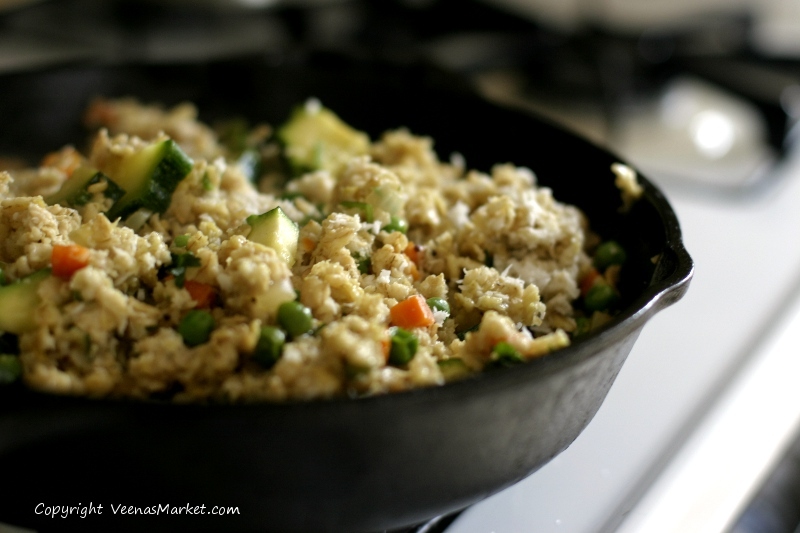 Heat the oil in a small or medium skillet over medium high heat. This takes a few minutes. If the oil is hot enough, a mustard seed will sizzle. Add the onion and green chili. Add a pinch of salt. Stir occasionally. 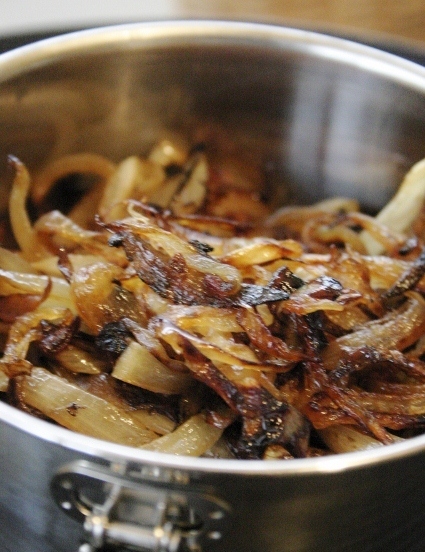 Saute till the onion is translucent. Add the carrot and stir. Cook till the carrot is done to your liking. I like to leave it a bit crunchy. You can cover the skillet to cook the carrot faster. Just check occasionally to see if you need a bit of water to prevent burning. 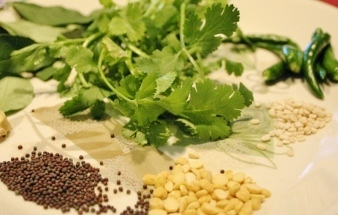 Squeeze the lime or lemon juice, stir in cilantro and 1/4 teaspoon to 1/2 teaspoon of salt as needed. 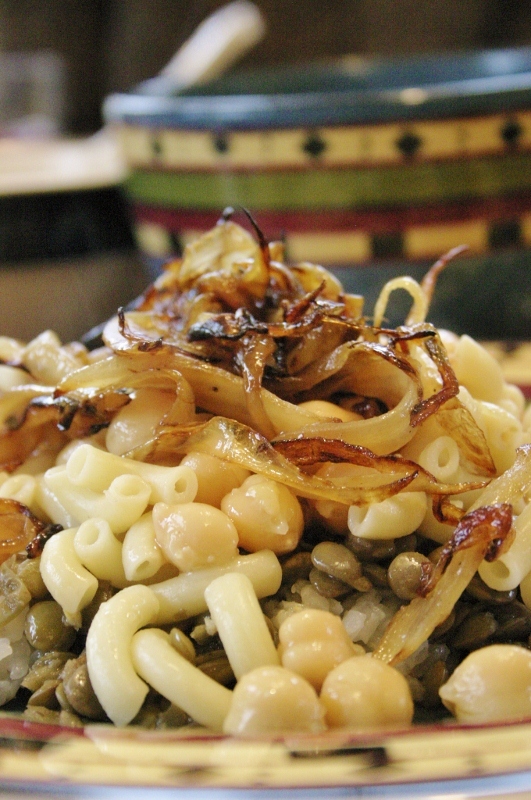 Serve on its own as a warm salad, with tortillas or Indian flatbread, or with rice and yoghurt.